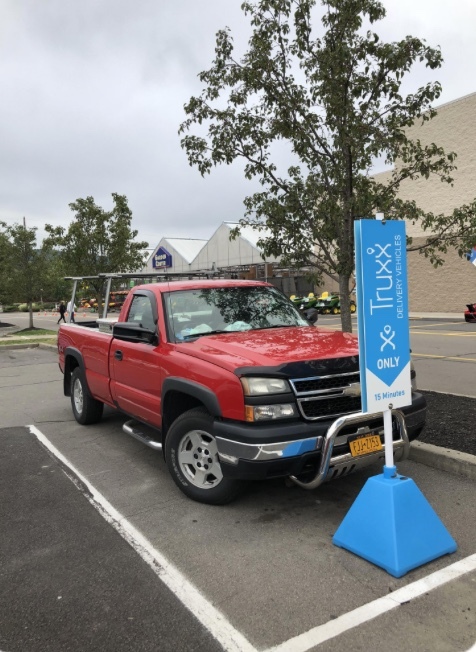 SYRACUSE, N.Y. - Oct. 22, 2018 - PRLog -- Truxx, the popular truck-sharing service, is being offered by a growing number of retailers across the US. In fact, for the first time 'gigs from stores' revenue has exceeded 50% of total, with the Truxx team forecasting continued growth going into the holiday season. "We see retailers willing to invest in innovation," say Co-Founder and CEO, Carlos Suarez, "scratch that, they tell us they have to in order to stay competitive." Truxx has forged a number of regional retail partnerships and recently announced a co-market agreement with Traxia, the maker of the cloud based, point of sales solution, SimpleConsign.com. This agreement gives them access to thousands of consignment stores across North America. "Retailers who offer services like ours, are really providing convenience. Almost every store manager tells me that a convenient shopping experience builds customer loyalty, and that grows sales," says Suarez.